Root. Canal. Two words that are enough to strike fear into the heart of many patients. However, the reputation of root canal treatment is more than a little unfair. While it remains an invasive procedure and, in many cases, the only way to save a natural tooth that is badly infected, modern techniques and superior anesthetic and sedation means that root canal treatment is far from the harrowing experience it once was. In fact, many patients agree that it virtually the same as any other type of dental procedure. What is root canal treatment and when is it needed? Our teeth are made of several layers. The harder surface is called the enamel, while the middle layer is known as dentin. The very center of the tooth is the softest layer still and called the pulp. Each tooth has at least one root, with molars and pre-molars sometimes having three or four. These extend from inside the jaw to the pulp of the tooth and serve it with blood vessels, nutrients and nerves – everything it needs to survive. Root canal is the name given to a dental procedure within which the root canals are cleared of bacteria and dead and infected tissues. It is recommended when there is an infection deep inside the tooth which is causing pain and other debilitating symptoms. When the pulp of your tooth is infected, unless root canal is performed, the tooth will almost certainly die and require extraction so that surrounding teeth do not develop the infection. Infections in the root canal usually develop as a result of exposure to decay, either via the other layers of the tooth, or in the case of a patient with severely receding gums, directly into the exposed root. If you haven’t had a root canal procedure before, you are probably wondering what to expect. Here are the key steps involved in root canal treatment. Root canal treatment is usually performed over two visits to our dentist’s office. During the first, your tooth will be anesthetized so that you cannot feel any pain. Once it is numb, our dentist will drill down into the tooth so that the root can be accessed. Small tools will be used to clear away all infected material and an antimicrobial solution may be placed into the pulp to destroy any bacteria that may still lurk. Once the root canal has been cleaned and dried, and our dentist is as satisfied as they can be that all traces of infection have been removed, your tooth will be filled with a rubber-like material and a temporary filling placed over the top to seal it and prevent further bacteria from entering. Impressions of your tooth will be taken, and you will then be able to go home. 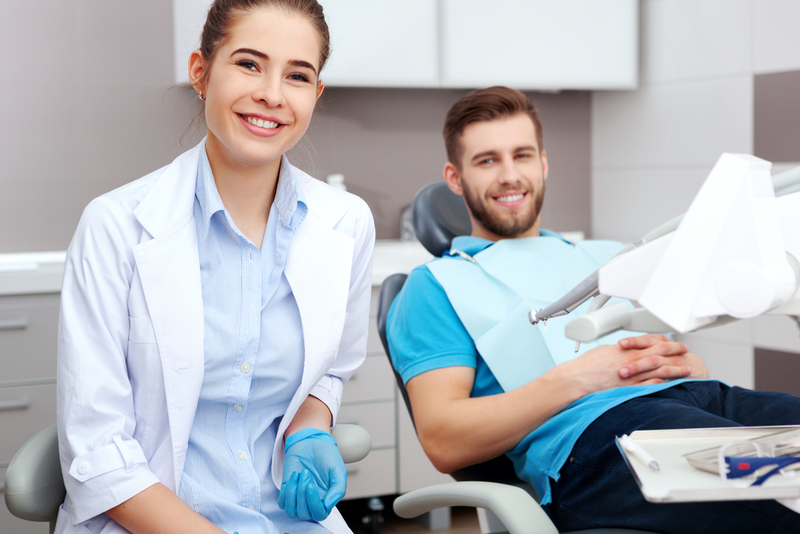 Around a week or two later, you will need to revisit our dentist where the temporary filling and inner filling will be removed, and your tooth checked to ensure that the infection hasn’t re-occurred. Provided that the root canal is still clean and free from bacteria, your tooth can then be permanently covered using a custom-designed crown, created using the impression of your tooth taken during your first visit. This will seal the tooth against further damage as well as restoring the appearance of your smile. Root canal treatment doesn’t need to be something to be concerned about. If you have further questions about this common dental procedure, or if you would like to arrange an appointment to have your teeth assessed, please don’t hesitate to contact us and speak to our reassuring and experienced dental team.